Due to high demand for more wings, we're gonna go ahead and release even more wings. 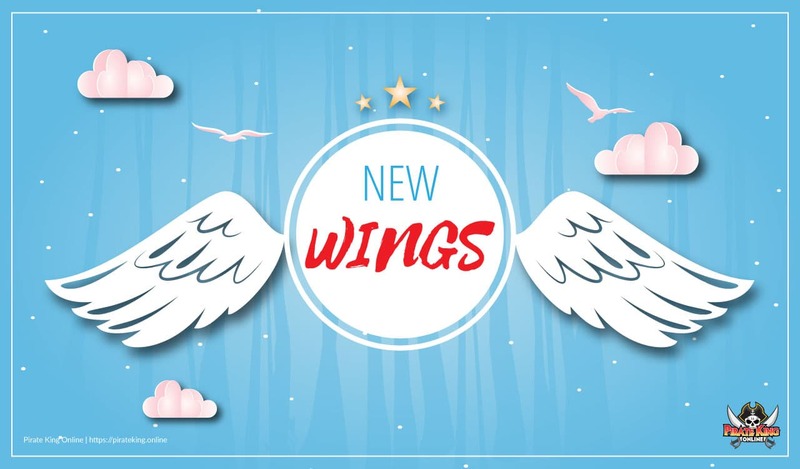 This time we're happy to announce there will be five more new wings being added to Item Mall! Those wings are not limited and be available forever with no quantity limits. All of the wings are priced 99 rums respectively. We hope our players like the new additions of decorative wings. In other news, one more item addition has been made to Item Mall, Starting today, Sea Weed Killer is now available under the Character and will be sold for 15 rums each package. Pretty damn dope that theres new wings!!!! Id throw my rum directly at the screen if they were placed under the limited category tho! At the speed of light! Can there ever be enough of wings?